Days Alone is recording a new album! We’re SO excited to get to share some behind the scenes footage with you. Kenny Lee Lewis is returning as our producer! We will be releasing each song as singles on iTunes and then once we hit 10 songs we will release a special full length album! Watch the latest Days Alone TV Episode now! 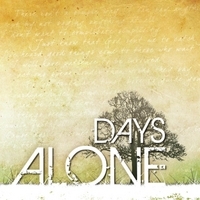 Days Alone TV: Behind The Scenes in the Studio from Tiana Star on Vimeo.